THE GOVERNMENT HAS announced €12.5 billion of funding for the agricultural sector over the next seven years. Most of the funding comes from the EU’s new Common Agricultural Policy (CAP), which Agriculture Minister Simon Coveney helped negotiate during Ireland’s EU presidency last year. The funding includes €8.5 billion in EU money, which will be distributed in direct payments to farmers, and also includes around €4 billion allotted for the Rural Development Programme until 2020, including €1.9 billion in national funding and €2.2 billion of EU funding. “It covers everything from hill farmers to suckler cows,” Taoiseach Enda Kenny said today. He also paid tribute to outgoing Irish Farmers’ Association (IFA) president John Bryan who has been replaced by Eddie Downey today. 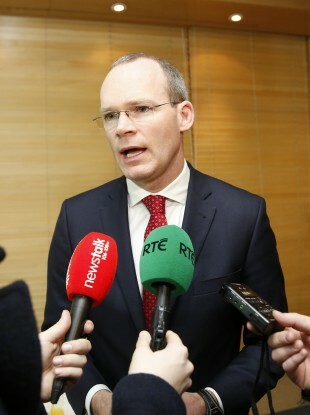 Coveney said that despite the economic crisis, some 25,000 of the 58,000 jobs created over the past year have been in the agriculture and fishing sector. “Families on farms are now seeing sons and daughters come back into farming and naming it as their main source of income,” he said. The Minister also rejected suggestions that the amount committed to the sector is less than it was in the previous seven years, saying that just over €3.9 billion was spent on rural development over the last seven years with “slightly more than that for the next seven years”. Email “Over €12.5 billion committed to agriculture over the next seven years ”. Feedback on “Over €12.5 billion committed to agriculture over the next seven years ”.